The Persian Rite of Spring was commissioned and co-sponsored by the Farhang Foundation. The Iranian Literary Arts Festival was made possible in part by a grant from the James Irvine Foundation. The Translation Project is made possible in part by the Unique Zan Foundation. The Translation Project has been made possible through a generous grant from The Christensen Fund. The creation of ICARUS/RISE is made possible in part by a grant from the Zellerbach Family Foundation. The creation of ICARUS/RISE is funded in part by a grant from the W A Gerbode Foundation. The 2007 Festival is made possible in part by the Haas Sr. Foundation. The Translation Project has been made possible through a grant from the LEF Foundation. The Charles and Helen Schwab Foundation has matched the contribution of their employee to The Translation Project. The completion of anthology manuscript is supported by a generous grant from the International Center for Writing and Translation. The New York State Council on the Arts awards The Translation Project a translation prize through PEN American Center. Kodoom.com lists Iranian events globally, and they have sponsored a number of our events. 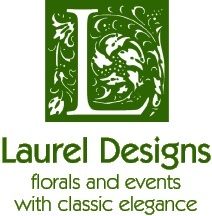 Laurel Designs has provided flowers, staff and event management to the Translation Project for the past 4 years. Persian Mirror is one of The Translation Project’s sponsors. The Translation Project is a 501 (C) 3 nonprofit organization without any religious or political ties. We do cultural work that builds bridges between people. We have been lucky in the past to be recipients of grants for new works and events, and we hope to continue receiving them as economic climates shift. However, our day to day operations needs your support. This means, staff, supplies and anything not covered by art grants. If you like what we do, consider making a tax-deductible donation by mailing in a check. We will send you a letter acknowledging your donation for your tax records.